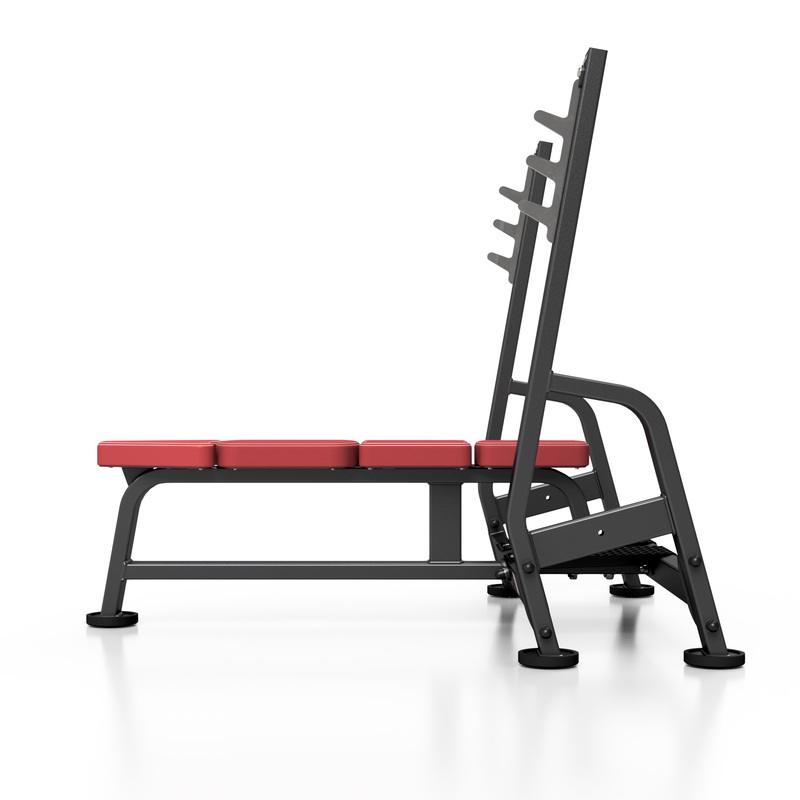 Olympic bench with barbell supports combining design and trendy finish for commercial use. Maximum load: 400 Kg! 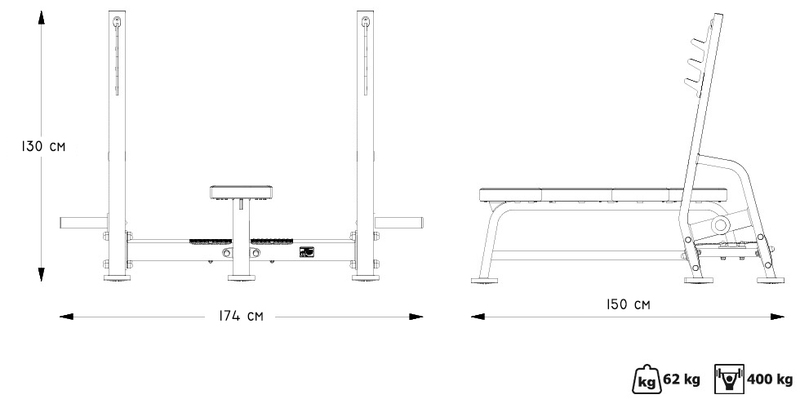 Heavy Duty frame (80 x 40 x 3 mm). Solid 10 mm thick metal plates. Positions for SP-MP-A001 Olympic loads at both ends. These adapters are finished with a rust-proof coating and have a rubber stopper to protect the frame structure. 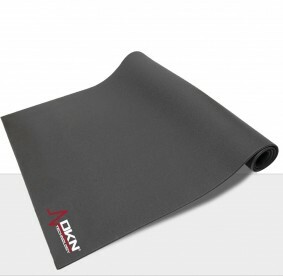 10 mm solid steel with rust-proof coating. Double stitched seams reinforced on each side. The seat itself is finished in high quality leather. 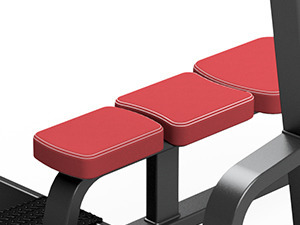 The backrest and seat are mounted on solid 3 mm thick metal plates. 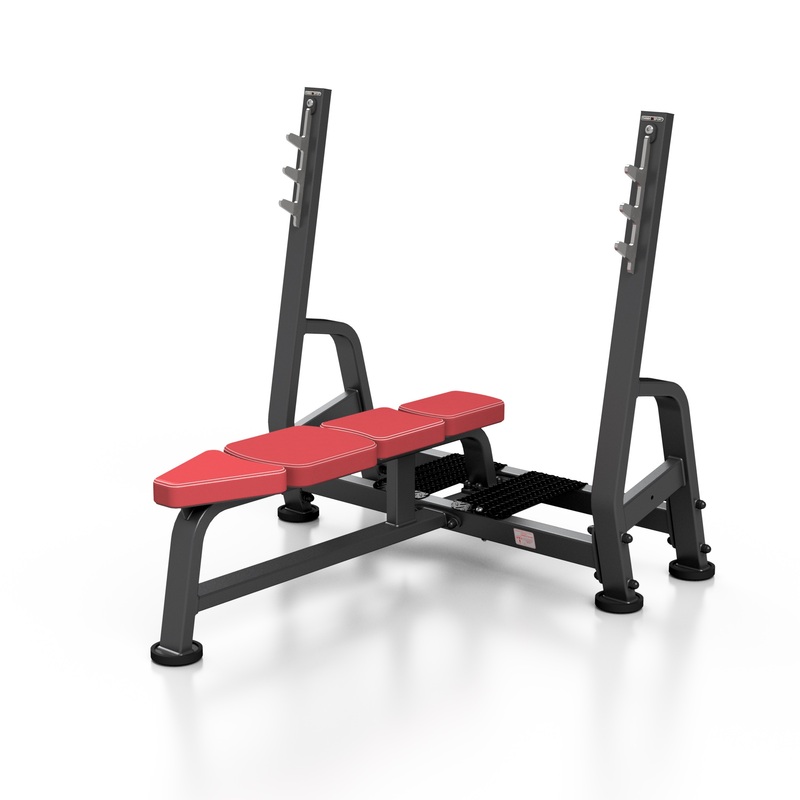 The design of the SP-L204 bench ensures maximum stability and safety. The vertical supports are optimally positioned with a 120 cm inner distance.